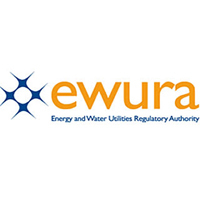 The Energy and Water Utilities Regulatory Authority (EWURA) is an independent, world class regulatory authority responsible for licensing, tariff setting and quality of service regulation of the electricity, water, petroleum and natural gas sectors. EWURA has the following vacancies for which suitably qualified Tanzanian citizens are invited to apply. conformity with provision of the Act and good industry practices. water supply and sanitation services. establish or monitor standards of water supply and sanitation services. projects in accordance with the Act. sanitation quality and assess conditions of water sources and their utilization. provision of better services by Water Utilities. supply of water and sanitation services to consumers. xi) To undertake any other duties as assigned by the supervisor. out of which three (3) should be in a senior position. vi) Knowledge and familiarity on sector regulation will be an added advantage. Senior Electricity Inspector will be responsible to provide support on regulation of electricity subsector in order to increase effectiveness and efficient to the regulated service. provision of the Act and good industry practices. infrastructure to ensure compliance with applicable industry standards. malpractices in electrical installation activities. v) To participate in dispute resolutions of various customers’ complaints. vi) To inspect premises damaged by electrical accidents. vii) To respond to any reported electrical emergency event. xii) To undertake any other duties as assigned by superiors. i) Possession of University Degree in Electrical Engineering. v) Possession of at least five (4) years working experience in relevant field. i) To prepare, record and file all payment vouchers. ii) To prepare, record and file all credit notes. and maintains respective file containing those documents. portray true and updated financial position of the Authority on a daily basis. staff to ensure prompt and regular collection of dues. vii) To keep and update the Fixed Assets Register of the Authority. viii)To maintain and reconcile banking transactions ensuring timely banking. ix) To undertake any other duties as assigned by the supervisor. equivalent from a recognized higher learning institution. (ICT) application, and familiarity with one of the accounting software. Legal Officer will be responsible to provide support on the legal affairs of the Authority in order to increase effectiveness and efficient to the delivery of regulatory service. ii) To assist in preparing the Authority’s representation in matters of litigation. for goods and services entered into by the Authority. to regulated sectors and the role and functions of the Authority. complaints as well as from regulated suppliers. vi) To participate in consumer complaints hearing sessions. vii) To participate in drafting various legal instruments. viii)To effectively supervise and guide members of staff reporting on the job. i) Possession of University degree in laws (LL.B) from a recognized university. ii) Must be an advocate of the High Court of Tanzania. the relevant field will be an added advantage. good governance processes in the Authority. i) To assess impact of audit control and risk management environment. ii) To prepare reports on different topics in audit as instructed. iii) To prepare working papers. iv) To manage and keep audit files and other relevant information. v) To participate in annual stock taking and fixed assets verification. vi) To provide support in the undertaking of all audit functions. vii) To undertake any other duties as assigned by the supervisor. finance from a recognized higher learning institution. ii) Possession of CPA (T) or Equivalent Certificate is a must. relevant fields will be an added advantage. e) Willingness to work beyond the call of duty. a) A competitive salary will be offered to the right candidates for the posts. b) EWURA is an equal opportunity employer. c) Staff will be employed on Permanent and pensionable terms. c) Only short listed candidate meeting the above criteria will be invited for interview.